"Growing up, I was always aware of how my family had been tragically affected by the Holocaust; both how they suffered and how those who survived carried tremendous burdens. I was eager to see with my own eyes the country where my relatives once lived, the town squares they once walked through and the shuls they once prayed in. Protecting the legacy of the Holocaust has been a priority for my family for three generations and that has been passed down to me. I was excited to experience the journey from Poland to Israel for myself and feel a heightened appreciation for the State of Israel after seeing what the Jewish people had been through. "I have always thought of Yad Vashem as a very special museum because it is in Jerusalem, in Israel, the homeland of the Jewish people. However, it is not just a powerful museum; it is an entire institution that is keeping the legacy of the Holocaust alive. 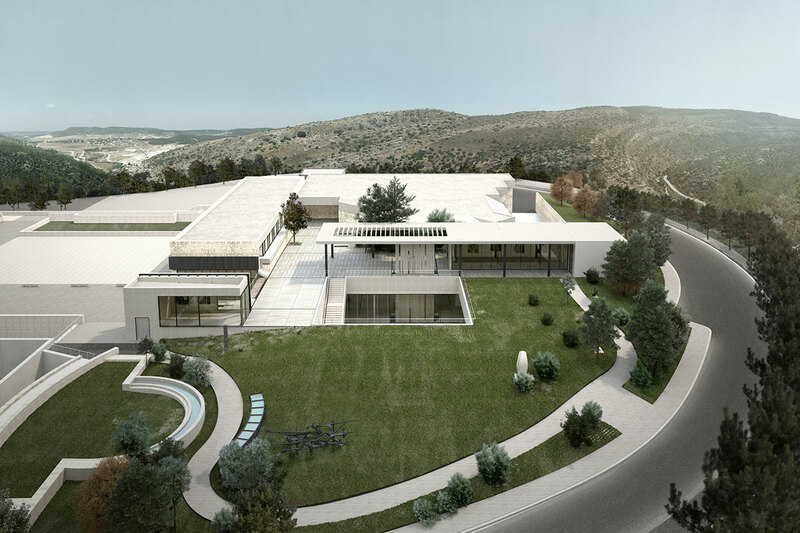 "I fully expect to become more involved in future activities of Yad Vashem. 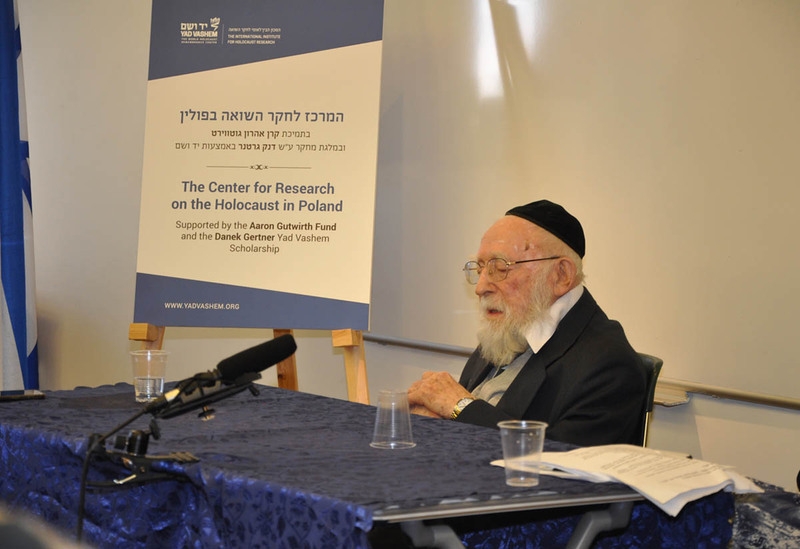 Soon the survivors won’t be here to tell their stories, and if even one person forgets to tell his children about the Shoah then that entire family will not commemorate and learn from the Holocaust." 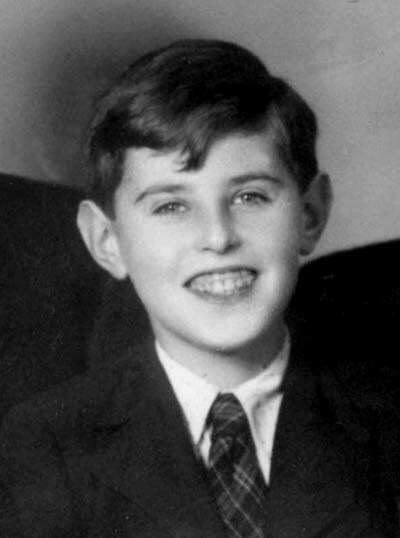 "From a young age, I have heard countless stories from my grandfather about his experience in the Holocaust. I always connected to it, but never before like this. Seeing the infamous Auschwitz in person made the stories much more tangible, and yet, in a juxtaposed manner, the atrocities seem even harder to comprehend. There was one thought that pierced through my shocked mind. My grandfather and I both went through the same entrance, he suffered and I toured, but we both left as witnesses. "The actual program itself was more or less what I expected. However, the group dynamic unexpectedly added a deeper level to the mission. The participants came from all over the world, varied in religious orientation and with unique personalities. This diversity bonded the group in a way that allowed for people not only to connect to the Holocaust through personal and familial experiences, but also to connect through the trip's experiences. Furthermore, although I was the youngest member on the mission (16), I was treated no differently than anyone else. This allowed me to participate in ways I also did not expect. "I believe it was Aldous Huxley, the author of Brave New World, who said, 'That men do not learn very much from the lessons of history is the most important of all the lessons that history has to teach.' As a member of the third generation, the generation that is tasked with continuing the memory of the Holocaust, I hope and believe that we can change that." "Although I did not partake in the entire Mission, I was lucky to join up with the group at Yad Vashem for the day. My involvement with Yad Vashem has only gotten stronger and more rewarding over the years. Being the grandchild of two survivors, I obviously want to continue to make that connection stronger and keep their stories alive for generations to come. "It was so extraordinary to see the preservation process and how pictures and information are scanned into Yad Vashem's databases. Yad Vashem continues to give back to so many people's lives, helping them discover their family's history. I am always so taken aback how different each experience is there. There is really so much to see and learn and feel. I am so thankful for every opportunity to reestablish my connection." "Fortunately, my family was not directly affected by the atrocities of the Holocaust; however, I am a parent of three daughters and know that it is my responsibility to share with them the importance of keeping the memories alive. "I joined the Mission with the expectation of learning and growing. I was not expecting the amazing personal connections I made with others on the trip. I fostered lifelong friendships with others who are passionate about Holocaust education. Additionally, I was utterly impressed by the attention to detail at each ceremony, event and seminar that took place. The guides were above and beyond knowledgeable and personable. The ceremonies that took place were moving and every person on the Mission had an active role. I was asked to do a reading at a ceremony in Poland. I read a personal narrative about Kristallnacht. I was moved when I learned that the passage that I read was actually the narrative of the mother of [International Relations Division Managing Director] Shaya Ben Yehuda. This is an example of what made the Mission so personal and moving. "I also saw some of the behind-the-scenes work that takes place at Yad Vashem. The staff is so passionate about what they do. It was enlightening to see the work that goes into identifying and placing a name or date to each artifact. 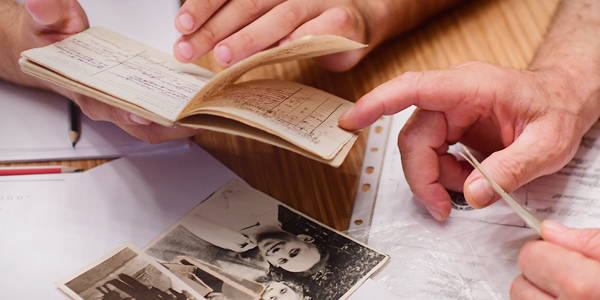 The care and expertise that I saw being used to treat a wartime journal that had tremendous water damage made me feel extremely proud of the work being done at Yad Vashem." "I have been involved with the Yad Vashem Young Leaders for many years and am very passionate about Holocaust education and awareness. The victims, survivors and their families are forever grateful for the everlasting flame that Yad Vashem has lit for generations to come, and this trip solidified the fact that it is up to us to keep that flame alive. "I gained so much insight into the Shoah, especially at Wolfsberg, a place I had never been or even heard of before the trip. I was in complete awe to learn about an underground camp and the extreme physical conditions they endured. One of the highlights of the trip was hearing Rabbi Lau speak for almost two hours at the conclusion of Shabbat. The entire room was mesmerized by his stories. Another incredible and chilling experience was when we entered the medical examiners' bunk. The women left eerie drawings on the walls that brought the situation to life and I was immediately taken back in time, hearing screams and cries along the corridor. I will forever remember those few minutes in that bunk. "I also had no idea how complex is the 'underground' work being done at Yad Vashem every single day. From archiving to preserving to the Names Database to control against hackers – it was absolutely incredible. I always visited Yad Vashem as a museum-goer and now I can proudly tell others that there is so much more to Yad Vashem." "My maternal grandparents are both survivors. I needed to see for myself what happened during the Holocaust to educate myself and others back home so that the memory never leaves our minds, and more importantly, is passed on to future generations. "Perhaps naively, I always thought prewar Europe was this depressing cemetery of a place. But I was wrong. Jews had lives no different than me. They had nice homes, schools, went to dinners, parties, etc. Some of them knew the good life. Everything they had was taken in cold blood. To see how Jewish life thrived before the war, and to see what happened during the Holocaust was an eye-opening experience. "The trip changed my life. It changed my point of view on almost everything. I also feel like I became more of a Jew. 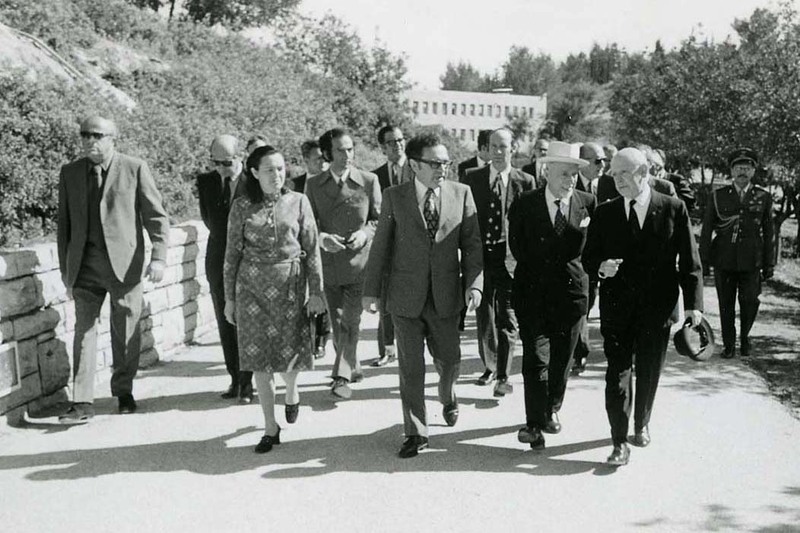 I plan to remain involved in Yad Vashem going forward in perpetuity."